The American Dream often begins with a dream home. And for many, a dream home means new home construction. However, to keep your dream from turning into a nightmare you need to consider two important factors when that dream involves new home construction: selecting the right contractor and mortgage lender. No doubt you’ve heard some of the nightmares. And sadly, the Property Brothers or Chip and Joanna Gaines aren’t available to walk you through the new home construction process. So where do you start? Who can you trust? If you haven’t been through new home construction before, selecting the right contractor can be cause for sleepless nights. Although it can be a daunting decision, following the advice of those who have been through it before will help you avoid the pitfalls. Learn from the experience of others! Here are three R’s to help you find a contractor who is right for you and right for your project. Taking your time to work through this decision will pay off in the long run. Don’t rush to hire the first contractor you find. Selecting the right contractor is a decision you’ll have to live with for a long time! Don’t skimp on your research! 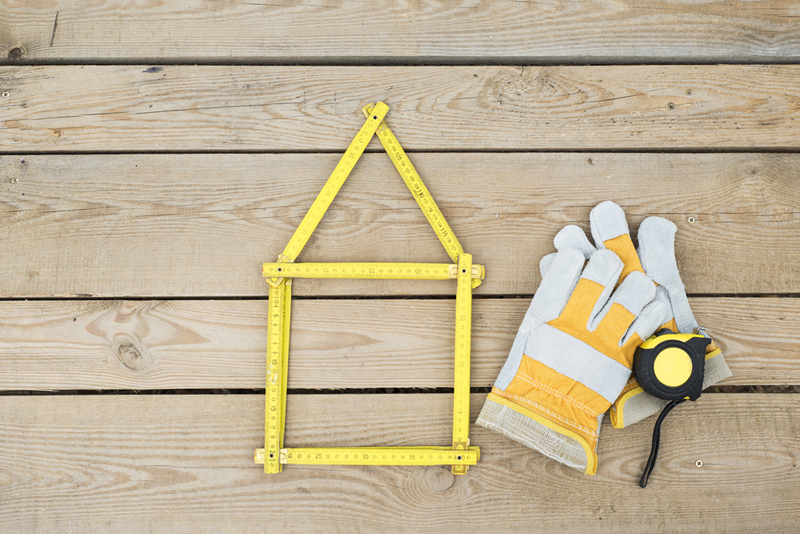 Building your dream home deserves attention to detail, and that includes your contractor. Whether your blueprint results in a dream come true or a daily reminder of disappointment hinges on your effort to find the right contractor for the job. Referrals: Begin by asking around for names. Find out what your friends, co-workers, and family members thought about contractors they worked with. Make sure they have a proven record with new home construction, not just remodeling. If your circle of friends hasn’t gone through new home construction, use websites to add to your list. Stay local as much as possible. You want workers who spend more time on the job site than driving to and from it. In the process, you’ll expand your options and then whittle them down. Only keep the promising leads. Avoid any contractor with strong, negative word-of-mouth comments. Reviews: Your search isn’t over when you have a list of your top three contractors. Even though you received glowing reviews from the people you spoke to so far, you need to dig deeper. Ask potential contractors to see a portfolio of their work. Ask for names of past clients you can talk to. It’s good to get word-of-mouth testimonies from people you don’t know. See some of the contractor’s completed homes in person if possible. At least drive past a few to get your own first-hand impression. Or get permission to visit a new home construction site. Rapport: Interview each potential contractor. Of course you want a contractor who has the skillset to do quality work. But new home construction can take six months to a year. You need a contractor you can talk to! Face it, problems will arise. Do you want a contractor who avoids you? Do want a contractor who pressures you into a decision? Do you want a contractor who lays out the options and lets you call the shots? As you work through these three R’s, keep in mind that selecting the right contractor means one who is right for your project. If your contractor’s clientele all live in million-dollar homes and your dream home budget is $200K, it might not be a match made in heaven. It works the other way, too. That bargain-priced contractor might not be prepared to deliver a dream home with high-end finishes. Know your budget and check projects that are similar to your own in style, scope and budget. You need to compare apples to apples! The problem with dream homes is that they don’t come cheap! Shopping for a mortgage lender is an important reality check on your dream home. The process will calculate what you can realistically afford. While your new home construction project is still in the dream phase, you should start the process of selecting the right mortgage lender. Ideally, you should get a mortgage pre-approved before you sign with a contractor. The last thing you want is to run short on funds before your home is completed or discover you can’t make the monthly mortgage payment. Start with a list of potential lenders. Include banks and credit unions. Make sure that the lenders on your list are registered through the Nationwide Multistate Licensing System Registry. It’s important to deal with a reputable lender. The two most important things you do next are compare rates and read the fine print! Compare rates. Of course you want a low rate! But also check the rate against the length of the mortgage. Do you want a 15-, 20-, or 30-year fixed-rate mortgage? Are you looking for a variable rate mortgage? Make sure you are comparing the same type of rate across your lending options. You’ll discover, if you didn’t already know, that credit unions offer competitive rates. Read the fine print. Other costs can add up—and not in your favor! Higher closing costs, points, transaction, and origination fees could undercut a lower interest rate. Compare the whole package before you sign on the dotted line! Remember that advertised interest rates generally apply to borrowers with sterling credit ratings. The process for pre-approval will require providing your financial information regarding income and debts, such as car loans, student loans, and credit card debt. It also includes what you have available for a down payment. Get your financials in order before you build your dream home. However, if your credit rating isn’t what you hope, you might still be able to proceed. One advantage of working with United Financial Credit Union is that our loan officers are willing to work with you to overcome any barriers to qualifying for a mortgage loan. New home construction can be a stressful process, but selecting the right mortgage lender doesn’t need to be. United Financial Credit Union has been helping people build their dream homes since 1964. United Financail can help you, too! At United Financial we think you should focus your attention on your new home construction instead of fretting over your financing. That’s why we have a simple process that’s as easy as 1-2-3! So what are those three simple steps? Step 1: Application and pre-approval. Start by calling United Financial to schedule an appointment. Step 2: Final approval. You gather and submit the information we talked about at your appointment. We can even help you with that! Step 3: Closing and move in. We wrap up the process by completing all closing documents. Then all that’s left is to move into your new home! Congratulations! You’ve just achieved your American Dream! And it all started with one call to United Financial. Call today!